Zimbabwe president Robert Mugabe expected to retire from Politics, Says Charamba. - Bana Kenya News, Real African Network Tubanane. Home World Zimbabwe president Robert Mugabe expected to retire from Politics, Says Charamba. Zimbabwe president Robert Mugabe expected to retire from Politics, Says Charamba. 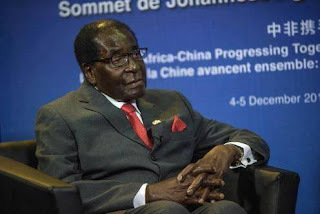 The Zimbabwe president Robert Mugabe will not vie for president and retire in politics in the coming general elections. According to our sources, the president has disclosed that his healthy and family matters will not let him vie for another term. The 93 years old president has ruled Zimbabwe since independence. According to the state spokesperson George Charamba, the president has made a request of the state leadership and party ZANU PF to look for a preferable candidate who will take the lead in the next general elections. According to George Charamba, the president is expected to official state what will happen in the next general elections. The President Robert Mugabe has been in a deteriorating health condition since the begging of last which made people across the country worried about his office worthiness. The opposition in Zimbabwe has made it clear that if the president Robert Mugabe will retire from politics then ZANU PF will be the knocking the lack of popularisation. The opposition leader Morgan Tsvangirai is expected to take a mileage in the political upfront in Zimbabwe when the current president Robert Mugabe retires.